Leah Grant, ARNP asks that her New Patients please check in 30 minutes prior to their appointment time. Please bring your Photo ID, insurance card, and a list of any medications and/or vitamins & supplements you take. Thank you! Leah Grant has been a practicing Family Nurse Practitioner since 2008. She worked in community health for 3 ½ years and has been with Mill Creek Family Practice since 2012. She earned her Master of Science in Nursing Degree from Boston College. Leah believes healthcare “should be a partnership between the patient and provider. By working together and understanding an individual’s history, values, and goals, I will be better able to assist in achieving one’s optimal wellness. I work with patients to maintain health through preventative care, managing chronic conditions, and treating urgent care needs. 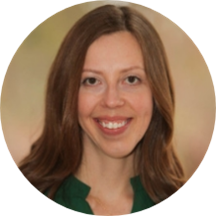 I feel very fortunate here at Mill Creek Family Practice to have the flexibility to spend time with my patients and develop a relationship with them.” Away from the office, Leah enjoys spending time with her husband and two children, reading, hiking, and traveling. Leah is currently on leave with a new addition to her family. She will return December, 2018.